This book provides an overview of the many aspects of living a more self sufficient lifestyle. The author gives her readers the basics of a broad spectrum of skills and, in some cases, shares a more detailed look into the self sufficient home. Chapter One prepares those just getting started, or thinking about starting, to live more independently. From budgeting, setting financial goals, and dealing with debt, to relationships and taking baby steps toward this way of life, the author offers many helpful words of wisdom for everyone. 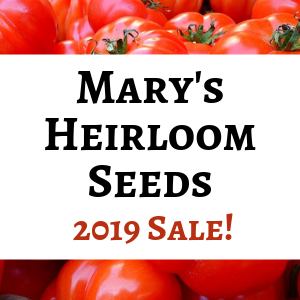 Nancy Hoffman goes on to share chapters on Alternate Energy Sources, Growing Your Own Food, Raising Animals, Pest Control, The Self-Sufficient Pantry, Canning and Preserving, Composting, Beekeeping, Essential Household Skills, Tools for Farming and Repairs, and Preparing for Disaster. Each chapter gives great information for anyone new to this way of life and for the seasoned homesteader, too. A wealth of information is stuffed into each section, with a detailed look at how to butcher your own poultry, make your own herbal insecticides, the basics of canning and dehydrating food, growing your own food, and choosing your farm animals. 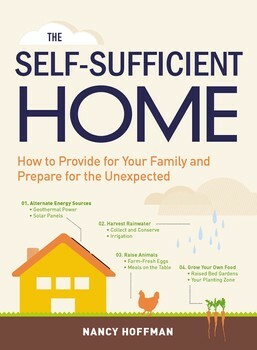 If you are looking for a book that will give you a great deal to think about, good information for getting started, and a lot of hands on how-to, then you will definitely get your money’s worth with The Self-Sufficient Home by Nancy Hoffman. I would like to mention that if you really want photos, charts and graphs, or a lot of visuals, this book does not share a great deal of graphics. But if you are more interested in a book packed with info it’s a good choice! Have you read The Self-Sufficient Home by Nancy Hoffman? Disclaimer: I received a free copy of this book to review. The opinions are my own. Sounds like a great book! Thanks so much for sharing.